A cornerstone of humanities scholarship across the world, Oxford University Press's list of scholarly editions is unparalleled in breadth and quality. 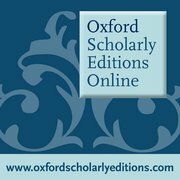 Oxford Scholarly Editions Online (OSEO) provides full-text access to hundreds of editions straight to your desktop, showcasing their authoritative editorial notes directly alongside the text and enabling advanced search within and between editions. Any translation is bound to be only partially faithful to the original. Translation is, as the Latin root of the word shows, transference from one language to another. It is not, or should not be, slavish imitation. The Italians have a saying: “Traduttore traditore”–“the translator is a traitor” – and one has to accept from the start that this is bound to be the case. The trick is to betray the original text as little as possible, but that always involves compromise. A translator balances on a tightrope between several conflicting demands. Every sentence that a translator comes across presents all of these demands in various proportions, and he or she has to find the right balance. First, there is the conflict between over-translation and crib-style translation. How exactly should one echo the phraseology, word order, sentence structure, metaphors, and so on of the original? Though one can think of a number of supposed translations of ancient texts where the translators have imagined that they knew better than the original author what he was trying to say, it is the other extreme which is all too common in this field: over-literal translation – translation that reads like the first draft of a schoolchild’s exercise, or a 1950s’ phrasebook for Eastern European tourists. Astonishingly, such translations do still get published. This was all very well in the days when most of the audience for such translations were familiar with the ancient language, and were even using them as cribs to help them through texts, but that is not the case today. Over-translation tends to underestimate the intelligence of the original author: if they had wanted those extra flourishes, they would have put them in. Crib-style translations tend to underestimate the intelligence of the reader, by assuming, for instance, that they have to have the same Greek word translated every time by the same English word – which is to assume that readers cannot recognize family resemblances between English concepts with different names. A second potential conflict facing the translator is more metaphysical. It is possible to programme a computer these days to come up with translations that are accurate, grammatically correct … and total abominations! Why? Because computers can’t tell the difference between translationese and real English; they can’t sense the weight of words and place them accordingly within a sentence, which is weighed within a paragraph, which is weighed within a chapter. Most surviving classical authors were capable of achieving this kind of harmony (as we may call it), and their translators therefore have to try to encompass as well. This is where sensitivity to English (or any other modern language) is as important to the translator as sensitivity to ancient languages. It is no embarrassment to a translator to absorb the English of Cormac McCarthy as well as Charles Dickens, of Robert B. Parker as well as Robert Graves. Extremely wide reading in both languages is an absolute prerequisite for a translator. Image Credit: ‘Dog, Sleep, Sleeping’ by JuliaMussarelli, CC0 Public Domain via Pixabay. A third balancing act lies between the two languages and cultures involved. If one translates aulos as “flute” rather than “reed pipe”, how misleading is it? Should one use words such as “penniless” or “quixotic”, given that at the time there were no pennies and no Cervantes? 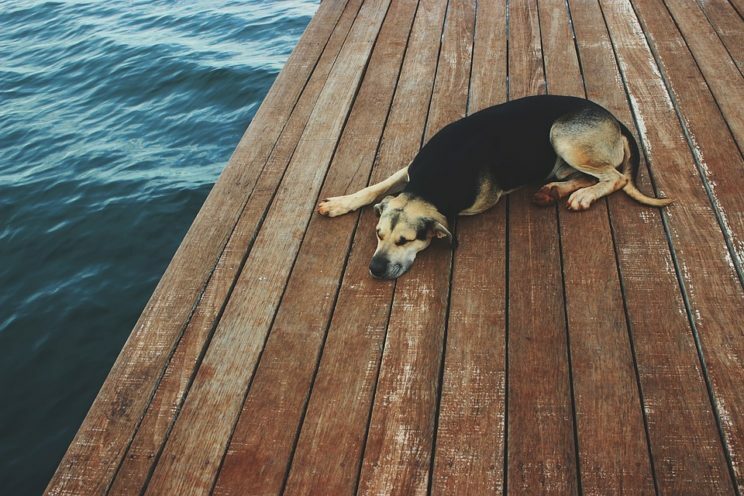 There’s an ancient Greek proverb which says “Don’t move something bad when it’s fine where it is.” This clearly means the same as “Let sleeping dogs lie” – but should one use this contemporary English version? What connotations might it trigger in the English reader’s mind? If language consisted entirely of publicly accessible objects such as tables and dogs, a translator’s life would be much easier. But a great deal of language consists of abstract terms and ways of attempting to express less publicly available feelings and thoughts, conditioned by an alien culture. From a personal perspective, my purpose as a translator is to perpetuate some of the greatest European books ever written. I try, then, to make them as readable and enjoyable by a modern audience as I can – obviously while sacrificing accuracy as little as possible. This is a controversial position. Many working academics prefer translators to produce more literal translations, which they can then annotate, so to speak, to their classes in their lectures. I would enjoy reading responses from both lay readers, untrained in the original languages, from students, and from working teachers at all levels. Featured Image Credit: ‘Wonderland Walker 2’ by kevint3141, CC by –SA 2.0, via Wikimedia Commons. Robin Waterfield is an independent scholar and translator. He has translated Oxford World's Classics: Euripides: Alcestis; Heracles; Children of Heracles; Cyclops, and Oxford World's Classics: Euripides: Ion, Orestes, Phoenician Women, Suppliant Women, which are both available on Oxford Scholarly Editions Online. With Oxford Scholarly Editions Online you can discover a rich collection of primary material that ranges across a wide variety of subject areas, from philosophy, literature, and theology, to economics, linguistics, and medicine. Overseen by a prestigious editorial board of prominent academics, led by Editor-in-Chief Michael F. Suarez, S.J., this resource currently provides access to material written between 1485 and 1901, as well as Ancient Greek and Latin texts. A friend who works at the UN insists on being called an interpreter, not a translator. Now I view all translations as interpretations. Thank you for so comprehensive and true to fact article. When thinking of the challenging aspects in translation, evaluative meaning in literature, which creates the atmosphere and gives access to referential truth, may appear one of the most obliging tasks to a translator. The difficulties you have described will matter in translating evaluative meaning. A couple of years ago I worked with a great speaker/writer in Palermitano/Siciliano who translated work for me from Italian, but refused to translate a short text from Galileo as he regarded Galileo as “un maestro”. As an amateur enthusiast in history, I sometimes read literal translations and become confused by the euphemism or the regional phrase that another translator might make clearer with a modern one. This can sometimes lead amateurs, such as myself, to incorrectly believe that it was what was written or take some small detail from the translation out of context and believe we learned something. There are benefits and pitfalls in both approaches. When I see a situation like that, I think that a balanced approach is usually best. The other option is to translate for an audience and try to convince the publisher to make it blatantly clear on the cover (good luck). This post is a good reminder of how easy it is for some of us amateurs to get caught out when we lack the context of a professional. Something that the world needs to consider in valuing their scholars. In this re”gard, it is worth mentioning that the famous British orientalist AJ Arberry titled his translation of the Koran, which I consider the one that comes closest to capturing the beauty of the Arabic original, “The Koran Interpreted : A Translation”.